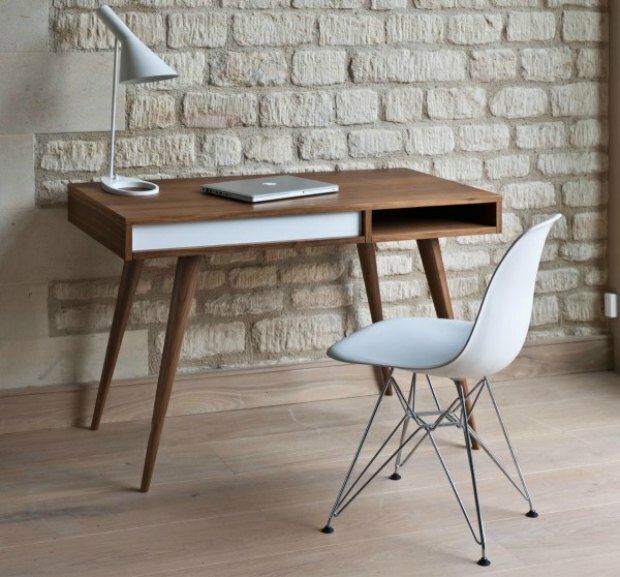 Choosing the right office desk can really make or break a space. Having the right furnishings can really make a difference as to how you feel in your office environment. There are quite a few things to consider when buying a desk and that includes the material, the size, and much much more. Below we will go over all of the things you need to consider in depth before you go and buy office desk. If you want to know how to choose the best desk for your office then keep reading below to find out what you should look for. When you decide you need to buy office desk, the first thing you should consider is the material it is made out of. You should consider how durable it will be, how heavy it will be, and how strong it is in general. Someone who likes to move around a lot should also consider how easy it is to move and whether it comes apart. It is better for furniture to be lighter and easy to move around, but it should also be made from a material you can’t easily damage. Steel is pretty low maintenance and durable, but you will need to make sure that it isn’t that heavy. Wooden desks, if looked after properly can last a very long time. Wooden desks are great for someone who wants something traditional and strong, they are also widely available. Glass can look chic and high end but glass can be heavy but also break easily. These are all materials you should consider to be able to decide which one would suit your lifestyle better. Before you choose a desk you should always measure your space as to make sure it will fit into the room. A common problem that most people encounter is that they buy a certain desk and then only later realize it doesn’t fit. 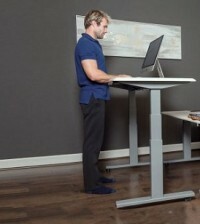 You should also make sure that you’ll be able to move comfortably around the desk. There should be enough space underneath so you can fit your legs and move them around freely. If you have a chair in front of your desk, you should also make sure that other people (your guests) can also fit in the space without feeling like they are being squeezed into your office. Make sure that there is enough space behind the desk for you to be able to move the chair and get up easily. You should always take the measurements of the room and space where you want the desk to go so you can have a pretty good idea whether the desk is a good fit or not. 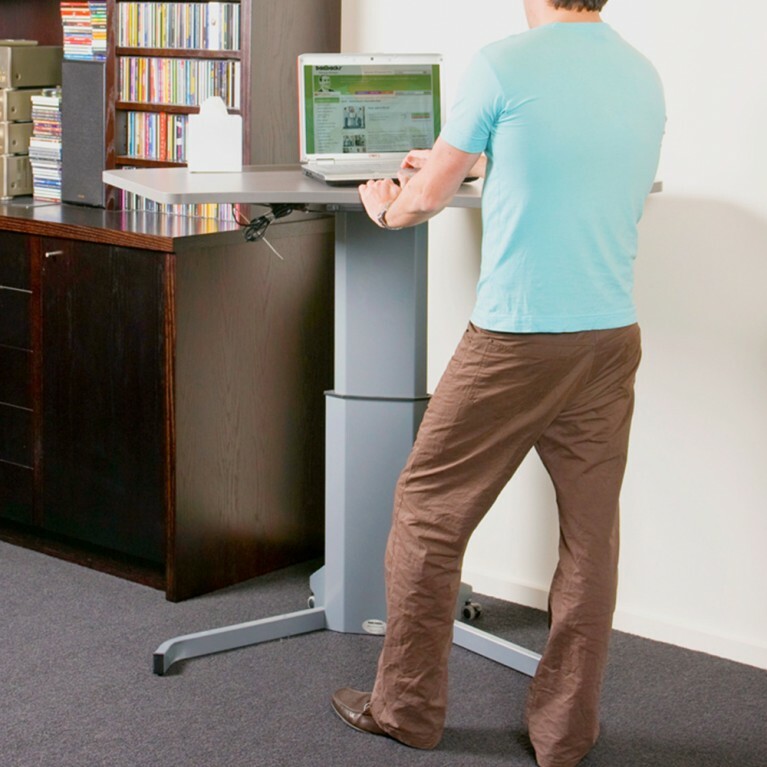 On a more ergonomic note though, if you are all about smart minimal design that comes with a number of health benefits, a standing desk would be the one choice to rule them all. Not only will you be saving space this way, but you’ll be also reducing your risk of cardiovascular diseases, type 2 diabetes and other metabolic problems. There is a huge variety of styles for you to choose from when it comes to choosing a desk for your office space. You should try choosing a style of desk that will suit the rest of your office space. Most offices are new so modern or traditional desks will go just fine if the measurements are right. If you want to really make the space your own you can always try a vintage style or something out of the ordinary as long as the rest of your décor matches it as well. You should choose a desk that will work well with your space as well as your personal style and taste.